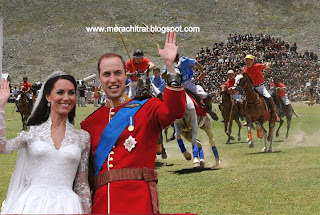 Provincial Minister for Sports Syed Aqil Shah Sunday said on Sunday that Chief Minister Amir Haider Khan Hoti had formally invited the newly-wed royal couple Prince William and Princess Kate (Duke & Duchess of Cambridge) to witness the final of Shandur Polo. The move to invite the royal couple to Shandur this year was initiated by Tourism Corporation Khyber Pakhtunkhwa (TCKP) to promote the region and to put it in the news internationally for something heart-warming and positive. Teams from Gilgit have confirmed participation in the upcoming Shandur Polo Festival scheduled for July 7- 9, 2011. In the letter, Hoti said: Your Highnesses, Shandur is the highest polo field on earth. Shandur Pass which is one of the most peaceful and serene areas of Pakistan is situated near the border of Gilgit-Baltistan and Khyber Pakhtunkhwa provinces at a distance of 147km from Chitral and 212km from Gilgit. The pass not only connects Gilgit and Chitral but also offers one of the world’s most interesting and attractive sports annually with freestyle mountain polo. The exhilarating game is played on the ‘Roof of the World’, about 12500 feet above sea level approximately, where the Hindukush, Pamir and Karakoram ranges meet. “Chitral is also the original birthplace of the sport of polo and the rugged mountain polo is arguably polo in its purest form. This version of the game played at Shandur has attained legendary status and is of great interest to international and domestic adventure tourists alike. There are no umpires and there are no holds barred. Played in its original devil-may-care manner, the rules are: There are no rules. “The game is inscribed in tradition that predates history. In ancient times, polo being the ‘King of Games’ was played between small kingdoms, villages and rival groups of Chitral and Gilgit. The British picked up the game here, introduced some safety rules and subsequently popularised it all over the world. Besides the rules (or no rules) there is quite a difference between the polo played in Chitral and the version introduced by the British. The size of the ground, number of players and the period of play in both versions are different. “Patronized by a British Political Agent Major Evelyn Hey Cobb in its early days, polo tournaments were held annually on this ground 1936 onwards. Presently organized by the Tourism Corporation Khyber Pakhtunkhwa (TCKP) the three-day Shandur Polo Festival has developed steadily in recent years into the massive celebration of mountain polo that it is today. It is attended every year by prominent celebrities, public figures and opinion leaders. “My government extends its warm greetings to Your Highnesses on Your recent wedding. 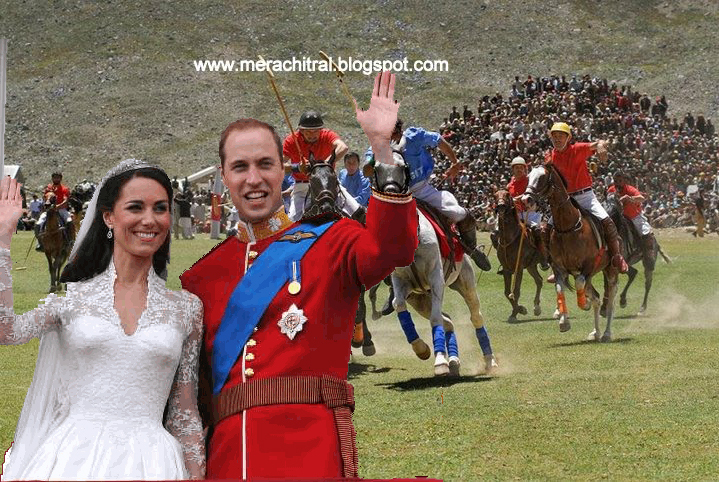 “The connection of the Royal Family of Britain with Chitral and polo goes back many years. In recent times, in 1997 the HRH Duke of Edinburgh flew into Chitral especially to witness a polo match and give away the Duke of Edinburgh cup which still adorns the reception counter of a local hotel. “Chitral warmly welcomed HRH Princess Diana in 1991. The people of Chitral have fond memories of that day when all flights to Chitral had been cancelled due to rain, HRH Princess Diana landed in her BA 146 and arrived in the valley much to the pleasant surprise of everyone. “I hope that Your Highnesses will be able to grace this polo cup final. It will help foster relations between our two countries and we await with anticipation your response.